Pakistan has told the White House it no longer will permit U.S. drones to use its airspace to attack and collect intelligence on Al-Qaida and other militants, according to officials involved. Pakistan’s ambassador to Washington, Sherry Rehman, met Vice President Joe Biden’s national security adviser, Antony Blinken, on Friday and told him that Pakistan’s political parties have agreed that the drone flights over Pakistan must end, officials involved said. Pakistan’s sovereignty over its airspace and the civilian casualties that have resulted from drone strikes are emotional issues in Pakistan, where public opinion heavily favors terminating drone missions. 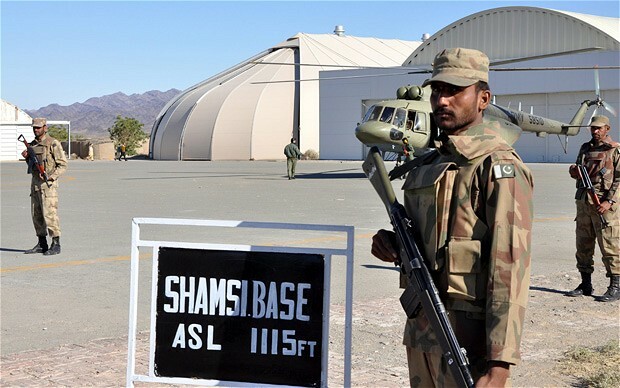 The only chance for a compromise, Pakistani officials said, may be if the United States agrees to share intelligence and coordinate strikes first. The United States has resisted giving information to Pakistan in advance because of fears that some in Pakistan’s security forces might warn the targets of impending strikes. The drone program has been part of U.S. counter-terrorism strategy in Pakistan since 2004, officials and experts say. The administration authorized 53 drone attacks in 2009 and 117 in 2010, compared with 35 in 2008 under former President George W. Bush, according to Bill Roggio, a U.S. military analyst whose website, the Long War Journal, maintains a database of the campaign. 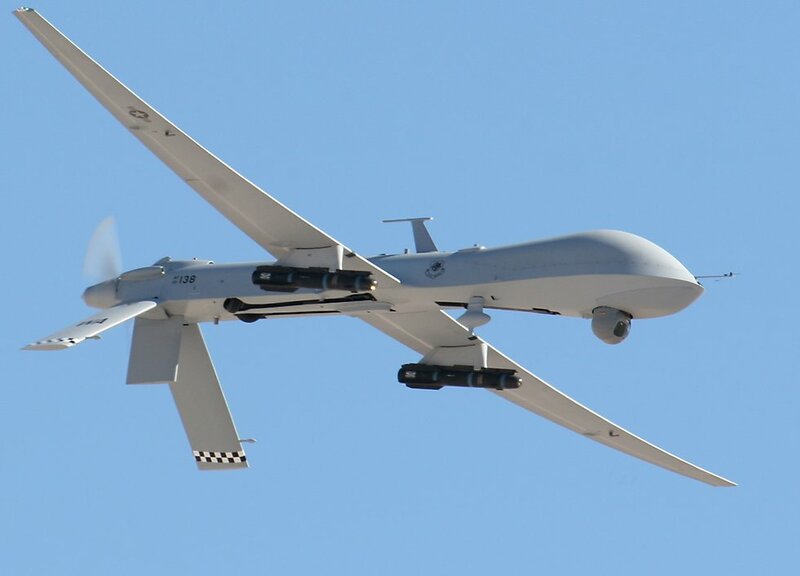 The drone program is “critical” because it provides better real-time surveillance and reconnaissance than satellite imagery does, Seth Jones, a senior political scientist for the RAND Corp. research institute, said in an interview. Singer said that “for several years, Pakistan has openly said, ‘How dare you violate our sovereignty,’ but it turned out the CIA was flying from Pakistani bases with Pakistan’s permission.” This time, it’s possible “they really mean it,” after a series of high-profile disputes have damaged relations, Singer said. In the January/February 2012 issue of Foreign Affairs, Stanford political scientist Stephen Krasner claims that “current U.S. policy toward Pakistan has failed” and recommends that the United States take a radically different approach: credibly threaten to sever all forms of cooperation, including all U.S. aid – military and civilian – to force Pakistan into cooperating with the United States on security matters. Center for Global Development President Nancy Birdsall responds. Stephen Krasner (“Talk Tough to Pakistan: How to End Islamabad’s Defiance,” Jan/Feb 2012) wants to change the Pakistani government’s behavior. He argues that its failure to cooperate with the United States on Afghanistan and on terrorism is not due to its weakness as a state. Instead, it is a rational response of Pakistan’s military leadership, whose priority is to defend itself against India – with a nuclear deterrent and support for terrorists and the Afghan Taliban. Therefore, the only way the United States can win cooperation from Pakistan is to threaten “malign neglect”- cut off military and civilian assistance, sever intelligence cooperation, maintain and possibly escalate drone strikes and initiate unilateral cross-border raids. If that isn’t enough, then the U.S. could move on to “active isolation” — declare Pakistan a state sponsor of terrorism, making it a pariah, and impose sanctions. If only it were this easy. Krasner fails to mention that the U.S. has tried this approach before. In the 1990s it cut off military and civilian assistance to Pakistan and imposed sanctions in an effort to dissuade Pakistan from developing a nuclear capability. We all know how that story ended. But let’s suppose this time the threats or the follow-through worked and brought the military and intelligence establishment to heel in Pakistan. Let’s suppose the United States got what it wanted on the security front – helping assure a timely U.S and NATO withdrawal from Afghanistan. Would that solve the problem Pakistan poses for America’s security in the long run? No. What Krasner doesn’t say is that the U.S. wants something more than compliance from Pakistan’s military and intelligence communities with its immediate security needs. The U.S. wants a capable and stable civilian government that plays by the rules of the international community. It wants a democratic state that would not abuse and misuse its nuclear capability and that would find its way to peaceful relations with India. In other words the U.S. has a long-run vision for Pakistan, very much in its own interests, as well as a set of short-term demands. In the 2009 Enhanced Partnership with Pakistan Act (known as Kerry-Lugar Berman, or KLB) Congress recognized the resulting need for a two-track approach. That legislation made U.S. security assistance (not actually authorized in the legislation) conditional on Pakistani cooperation on security matters. But its fundamental purpose, and the money it authorized for civilian aid, was the rebuilding of a serious partnership with the civilian government and the people of Pakistan. With KLB as the framework, since 2009 the Obama Administration has engaged fully with the civilian government and with civil society and private sector leaders in Pakistan on a range of issues — energy, water, agriculture, macroeconomic issues, private investment and trade. 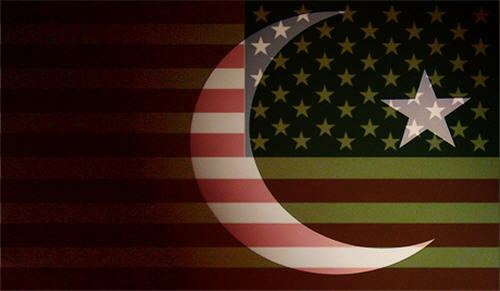 In short, the purpose of U.S. civilian aid to Pakistan is to help build a better state. It is not to bribe or reward the “government” (neither the military nor the civilian leadership). Withholding military aid would likely not punish the military anyway. It would, however, reduce the resources available to the civilian government, since the evidence is that the military can get what it wants from the government’s overall available resources. And withholding civilian aid obviously would not punish the military. It would, however, take away a modest tool of America – investing to educate kids, create jobs, and strengthen civil society and representative institutions and thus give Pakistan a better shot at becoming a stable, prosperous and democratic country in the long term. There are of course real questions about the effectiveness of U.S engagement with the civilian government – with aid and dialogue – given the prevailing suspicion there of U.S. motives, the inherent difficulties of operating in a complex and insecure environment, and the bureaucratic shortcomings of the U.S. aid system itself. But then those are reasons to put relatively more emphasis on other forms of engagement: trade, investment, and encouraging the normalization of relations with India. They do not warrant bullying the weak civilian government that the U.S. wants to strengthen. Nancy Birdsall is the founding president of the Center for Global Development, a Washington, DC based think tank. In Pakistan’s current crisis, why is its military is so reluctant to consider simply seizing power? One reason is that General Ashfaq Pervez Kayani cannot count on the US looking the other way. At a minimum, Washington would have to slap sanctions on an economically faltering country. At a maximum, it would be the last straw in a bilateral relationship at its lowest ebb since it was first woven in the 1950s. Pakistan’s establishment claims it has been used and abused by the US, the most serious violation being that country’s stealth attack on Abbottabad that led to Osama bin Laden’s death. There has been the Raymond Davies affair, the endless drone attacks and the increasingly public accusation of double-dealing by senior US officials – the most notable being Admiral Mike Mullen’s linking of the Inter-Services Intelligence with terrorist groups. There is some satisfaction for India in all this. It has been persistently claiming the existence of a military-terrorist nexus. Many in Washington agree. After Abbottabad, there is no one in Washington who doesn’t. The US-Pakistan relationship, says Daniel Twining of the German Marshall Fund, “was really at a historic high for the past decade but is diminishing.” But it might not matter as much to the US if relations fall apart, he says. Other events are undermining the basis of the US-Pakistani bond. 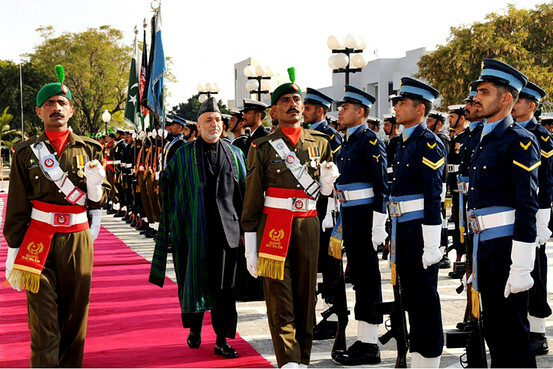 Islamabad had expected the US to totally retreat from Afghanistan, leaving Pakistan’s Taliban allies in charge. Instead, the US will leave a substantial force behind along with many drone bases. The US is talking with the Taliban, but only desultorily with groups that Islamabad patronises. 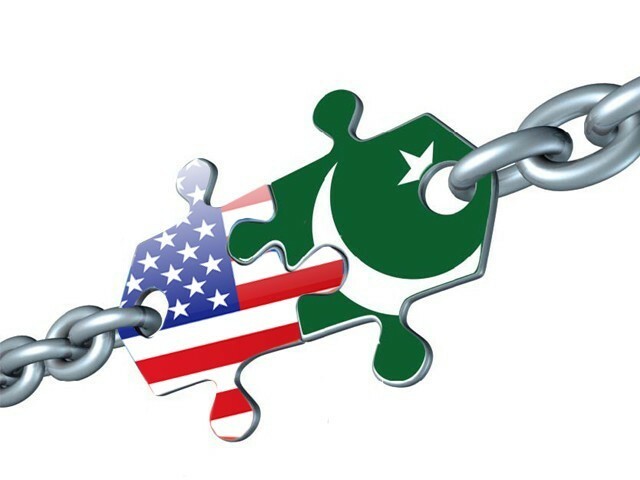 With the US Congress also pulling the plug on aid to Pakistan, what is left? The answer is nukes. “If Pakistan didn’t have nuclear weapons, with Al Qaeda almost gone, no one would care a fig about that country,” said one ex-US ambassador to the region. As they realise this, Islamabad is getting more paranoid about the security of its “strategic assets.” The more unstable they look, the more willing the US will be to try and do something risky to salvage Pakistan’s nuclear weapons. 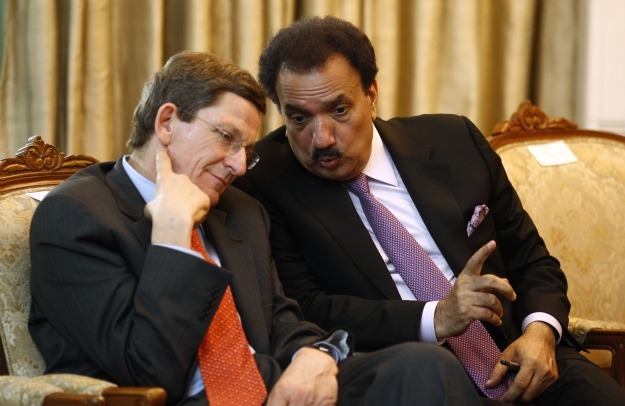 US officials are talking about a “new normal” in their Pakistan relations. This would cut ties to the bare bones: counterterrorism cooperation, limited military transit requirements, Afghan talks, narcotics and some humanitarian assistance. “We’ll have to work with the Pakistan military on a limited basis while negotiations with the Taliban proceed,” says John Schlosser, a former state department South Asia hand. There seems to be no real understanding among Pakistanis that their leverage is dwindling or how much Abbottabad vapourised their credibility in the US. A parliamentary committee report on how to change the US relationship bizarrely demanded, for example, a civilian nuclear agreement. It could get worse. “The relationship will fall further if the US finds [Al Qaeda chief] Zawahiri in Pakistan. Or there are terror strikes on India or the US,” says Bruce Riedel, former AfPak advisor to Barack Obama. The worst thing is that Washington is decoupling just at a time when Pakistan, economically and otherwise, can least afford to lose their most generous international partner.